A cull of around 1,000 kangaroos is being considered by the Australian Department of Biodiversity, Conservation, and Attractions (DBCA). The area the cull is being considered is at Thomsons Lake Reserve but the suggestion of a cull has some residents in an uproar despite the potential necessity of the situation. The reserve is about a 30-minute drive from the city of Perth and is home to mostly birdlife and small marsupials, including the 1,000 kangaroos which have multiplied from only 30 since being introduced to the reserve. The area is a large wetland and is an important breeding ground for endangered bird species. The latest report from the Conservation and Parks Commission says numbers have returned to where they were before the last cull which took place in 2006. The report also stated the vast number now needs to be reduced because of its impact on the local wildlife. One option cited besides the cull is the "removal of the entire kangaroo population and replacement with alternative macropod species of higher conservation significance that once inhabited the area." The local residents call the population of kangaroos a pleasant sighting in their suburbia neighborhoods which border the reserve. A local resident named Lynsey Duff said, "We love running in here with the kangaroos. It's just a piece of bushland that's on our doorstep, you're in suburbia and it's very unlikely that you'd go to one of the reserves in the Beeliar regional park area and see kangaroos right … up close." The local residents call the population of kangaroos a pleasant sighting in their suburban neighbourhoods which border the reserve. A local resident named Lynsey Duff said, "We love running in here with the kangaroos. 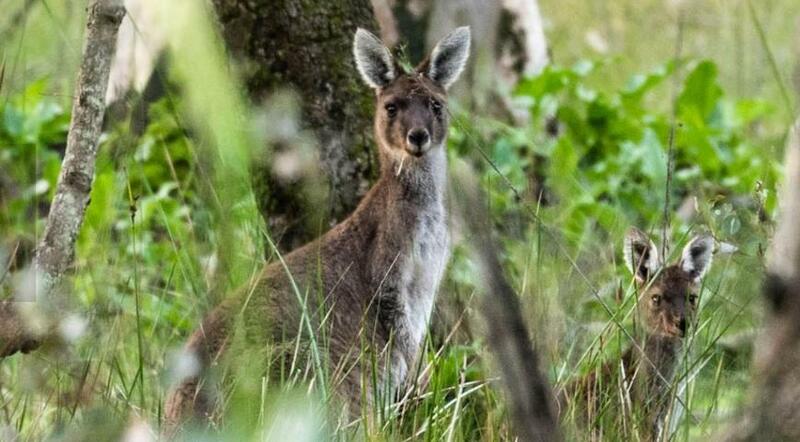 It's just a piece of bushland that's on our doorstep, you're in suburbia and it's very unlikely that you'd go to one of the reserves in the Beeliar regional park area and see kangaroos right … up close."